Gerald C. Wright has taught political science at Indiana University since 1981, and he is currently the chair of the political science department. 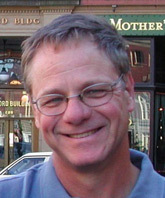 An accomplished scholar of American politics, and the 2010 winner of the State Politics and Policy Association’s Career Achievement Award, his books include Statehouse Democracy: Public Opinion and Policy in the American States (1993), coauthored with Robert S. Erikson and John P. McIver, and he has published more than fifty articles on elections, public opinion, and state politics. Professor Wright has long studied the relationship among citizens, their preferences, and public policy. He is currently conducting research funded by grants from the National Science Foundation and the Russell Sage Foundation on the factors that influence the equality of policy representation in the states and in Congress. He is also writing a book about representation in U.S. legislatures. He has been a consultant for Project Vote Smart in the past several elections. Professor Wright is a member of Indiana University’s Freshman Learning Project, a university-wide effort to improve the first-year undergraduate experience by focusing on how today’s college students learn and how teachers can adapt their pedagogical methods to best teach them. In his nonworking hours, Professor Wright also likes to spend time with his dogs, travel, eat good food, fish, and play golf.